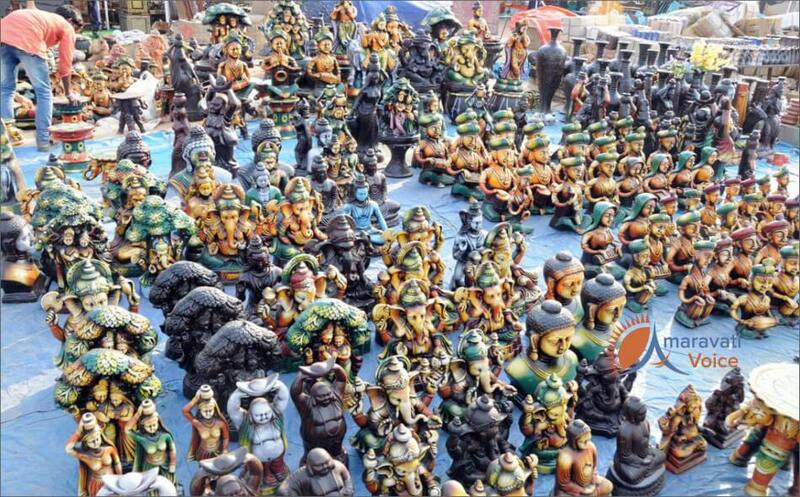 Lepakshi Craft Bazaar being organized at PWD Grounds in Vijayawada is drawing good crowds. As the people remained indoors during day time with the prevailing heat wave, crowds are being seen at craft bazaar in the evening. There are around 230 stalls with handicrafts of all the sates were set up in the craft bazaar. This is joinly organized by Central handicrafts department and Lepakshi handicrafts emporium. There was a good demand for Kalamkari, wood carving, Tanjore paintings and Mangalagiri cotton fabrics.